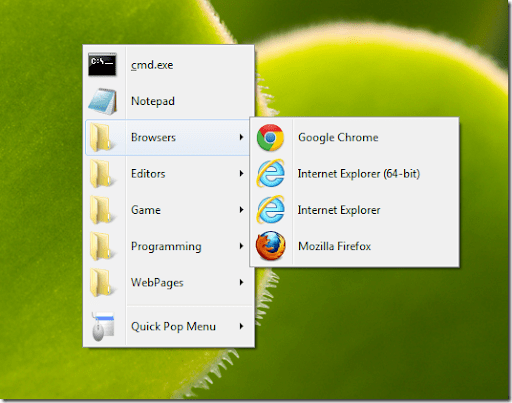 Is there any sort of command or switch can be used to call the menu externally – ie “quickmenu.exe” -menu or something similar? This would be extremely useful IMO as it could allow people with multi-button mice to assign one of the buttons to open the menu. Updated. Now it supports command line parameters. You can specify a folder to read shortcut files like, QuickMenu.exe “D:Shortcut FoldersMenu1” By doing this, the program exits right after the menu is called. Please test it and let me hear what you think.